AND DISEASE CAUSED BY TOBACCO. ONE BILLION – that’s how many people tobacco will kill worldwide this century without urgent action to stop this entirely preventable epidemic. In the United States alone, tobacco kills 443,000 people every year. Such huge numbers can seem daunting and impersonal. But all of us at the Campaign for Tobacco-Free Kids never lose sight of the fact that these numbers represent real people whose lives are devastated by tobacco –mothers and fathers, brothers and sisters, friends and colleagues. We never forget that the vast majority of tobacco users start as children, lured by the predatory marketing of the tobacco industry. We also know that we have proven solutions to save lives and win the fight against tobacco. These solutions work everywhere they are implemented to prevent children from starting to smoke, help smokers quit and protect everyone from harmful secondhand smoke. Every single day, our mission is to put these solutions in place across the United States and around the world. Our 2013 Annual Report, covering our fiscal year from April 1, 2012, to March 31, 2013, details the significant progress we are making to implement these solutions and save lives in the face of unrelenting opposition from the tobacco industry. In the U.S., the Campaign for Tobacco-Free Kids has fought to increase tobacco taxes that prevent kids from ever starting to smoke, pass smoke-free laws that protect everyone’s right to breathe clean air, fund tobacco prevention and cessation programs that are proven to save lives and health care dollars, and support the federal government’s highly successful media campaign to reduce tobacco use. We continually expose the tobacco industry’s latest efforts to target our children, and our largest-ever Kick Butts Day reached tens of thousands of kids across the nation. Worldwide, as a partner in the Bloomberg Initiative to Reduce Tobacco Use and support from the Bill & Melinda Gates Foundation, we have helped achieve truly historic change. This report highlights the enactment of unprecedented tobacco control measures in countries such as Russia, India and the Philippines that have some of the highest rates of tobacco use. There is no question that we know how to win the fight against tobacco – the world’s number one cause of preventable death. But we cannot take continued progress for granted. We must be as relentless and resourceful in working to save lives as the tobacco industry is in promoting its deadly and addictive products. The Campaign for Tobacco-Free Kids is deeply grateful for the support of our many partners and supporters. We know you are as committed as we are to ending the tobacco epidemic in the United States and around the world. We continue to make significant progress in the United States in implementing proven tobacco control policies and reducing smoking rates. However, at every step of the way we encounter fierce opposition from the tobacco industry, which remains as aggressive as ever in marketing its deadly products and fighting every effort to reduce tobacco use. U.S. smoking rates again dropped to historic lows. New government surveys showed that smoking rates continue to decline, falling to 18 percent among adults and 17.1 percent among high school seniors in 2012. The youth smoking rate has been cut by more than half since 1997. But progress has been slow in recent years and must be accelerated. The movement for smoke-free air continued to spread across America. In November 2012, North Dakota became the 30th smoke-free state when voters approved a ballot measure that makes all restaurants, bars and other workplaces smoke-free. Indianapolis also passed a strong smoke-free law in 2012. We were proud to be part of these efforts and also to join the Tobacco-Free College Campus Initiative. More than 1,100 college and university campuses are now smoke-free, and more than 800 are completely tobacco-free. Tobacco taxes go up in two more states. We actively supported successful efforts to raise tobacco taxes in Illinois and Maryland. Raising the price of tobacco products is one of the most effective ways to prevent kids from smoking and encourage smokers to quit. A federal judge ordered tobacco companies to tell the American people the truth about their deadly and addictive products. 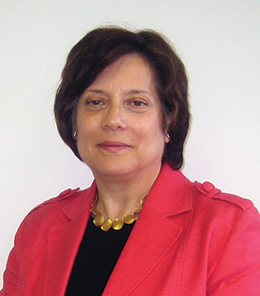 Culminating the federal government’s 14-year-old racketeering lawsuit against the tobacco industry, Judge Gladys Kessler ordered tobacco companies to admit their deceptions and make "corrective statements" through newspaper and TV ads, on their web sites and on cigarette packs. As a party to this case along with five other public health groups, we have fought to hold the tobacco industry accountable. 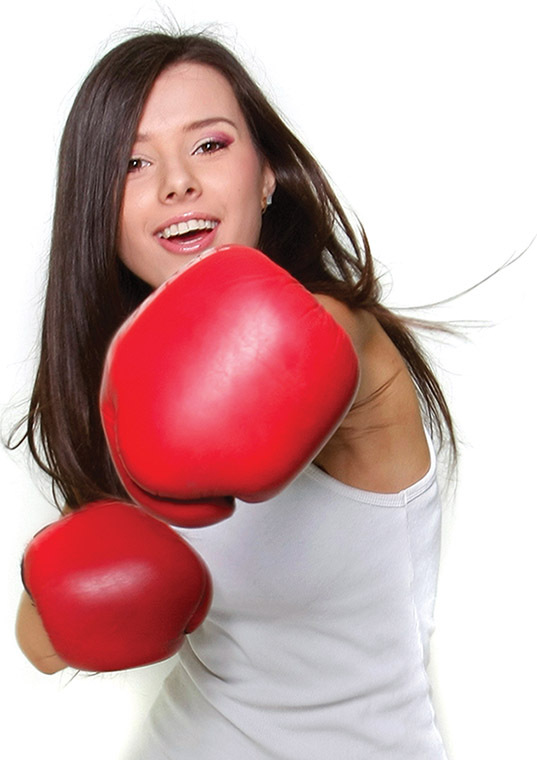 In March 2013, the CDC launched the second year of its highly successful anti-smoking media campaign. In its first year, the hard-hitting Tips from Former Smokers campaign exceeded all expectations, driving 1.6 million smokers to try to quit and helping more than 100,000 to succeed. We continue our work to promote and fund this life-saving campaign. We would have made even greater progress if not for the tobacco industry’s willingness to spend huge sums to block measures to reduce tobacco use. The industry spent tens of millions to narrowly defeat a ballot initiative to increase California’s cigarette tax by $1 per pack. The industry also filed a successful lawsuit to stop implementation of graphic cigarette warnings proposed by the Food and Drug Administration. We have urged the FDA to quickly develop new graphic warnings that can withstand legal scrutiny. Tobacco’s terrible toll in the United States and around the world stems directly from the tobacco industry’s insidious practices. For decades, the industry has marketed its deadly and addictive products to children, deceived the public about the devastating consequences of tobacco use, and fought proven measures that reduce tobacco use and save lives. The Campaign for Tobacco-Free Kids works constantly to track, expose and counter the industry’s harmful practices. One of our major initiatives this year focused attention on how tobacco companies have undermined efforts to reduce youth smoking by aggressively marketing cheap, sweet cigars that appeal to kids. In March 2013, we issued a report, titled "Not Your Grandfather's Cigar: A New Generation of Cheap & Sweet Cigars Threatens a New Generation of Kids," that shows how companies exploited loopholes in tobacco taxes and regulations to market cigars with candy and fruit flavors and low prices to entice kids. Many of these products look and are smoked just like cigarettes. We also provided assistance to Bloomberg News that resulted in an investigative report about how a tobacco company increased the weight of its cigars by adding a clay-like substance used in kitty litter. Yes, kitty litter in cigars! The goal was to increase the weight of these products and escape higher taxes and regulations. The Campaign for Tobacco-Free Kids is working to close these tax and regulatory loopholes in order to protect our kids from all tobacco products. For Kick Butts Day, we issued a report and infographic with a lineup of "America’s Most Wanted Tobacco Villains" – the biggest tobacco threats to kids today. These villains include "The Usual Suspects" of cigarettes and smokeless tobacco, “New Villains” such as cheap, sweet and colorfully-packaged small cigars, and "Emerging Threats" such as tobacco products in disguise that look like breath mints, teabags and toothpicks. The tobacco industry knows that about 90 percent of smokers take their first puff at or before age 18. That is why kids are a major target of the $1 million the industry spends each hour on marketing in the United States. The Tobacco Industry Watch section of our web site reports on how the tobacco industry continues to market and sell its products, and oppose life-saving policies, without regard for the deadly consequences. Learn more at www.tobaccofreekids.org/what_we_do/industry_watch/. Globally, the Campaign for Tobacco-Free Kids has supported historic efforts to combat tobacco use in countries with the largest numbers of smokers and with some of the world’s highest tobacco use rates; countries where progress on tobacco control was unimaginable just a few years ago. With the support of Bloomberg Philanthropies and the Bill and Melinda Gates Foundation, we have worked as a partner in the Bloomberg Initiative to Reduce Tobacco Use to curb the tobacco epidemic by helping local tobacco control advocates to push for and achieve laws and policies that are proven to prevent and reduce tobacco use. Across India, advocates made significant progress in banning gutka, a cheap, popular and deadly form of smokeless tobacco. By the close of the 2013, 27 of India’s 28 states and six of its seven territories banned gutka, acting to stem an oral cancer epidemic. Eighty-six percent of the world’s oral cancer cases are in India. We supported the Voices of Tobacco Victims campaign that spearheaded this effort. Latin America continues to set a global example in enacting smoke-free laws and other measures to reduce tobacco use. With Chile joining the list this year, 16 countries in the region now have comprehensive smoke-free laws. We supported successful advocacy efforts in many of these countries; countries that have also adopted other strong tobacco control measures, including graphic health warnings and tobacco advertising bans. The Philippines enacted legislation that reformed its tobacco tax structure and ensured tobacco tax increases for years to come. It was a landmark victory for public health in a country where the tobacco industry wields enormous power. Ukraine implemented and enacted strong measures to reduce tobacco use. These included strengthening restrictions on tobacco advertising, sponsorship and promotion, implementing graphic health warning labels, and expanding the list of smoke-free public places to include restaurants and bars. In Africa, there is growing movement to stop the tobacco epidemic from taking off. Because of the traditionally lower rates of tobacco use in sub-Saharan Africa, the region has been targeted by the tobacco industry as a promising growth market. With our support, public health advocates are mobilizing to fight back and urge governments to enact proven measures to prevent and reduce tobacco use. The tobacco industry has reacted to global progress on tobacco control by redoubling its efforts to block the implementation of these life-saving policies. Its tactics include generating confusion about the enacted laws among stakeholders, interfering with the rules-making processes for the laws, and when all else fails, initiating expensive legal challenges aimed at bullying countries into backing down. The Campaign for Tobacco-Free Kids supports countries around the world in fighting back against these industry tactics and ensuring that the interests of public health prevail. 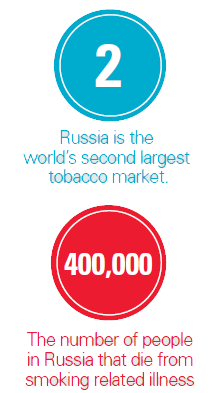 In Russia, the world’s second largest tobacco market, 60 percent of men smoke and tobacco use claims nearly 400,000 lives each year. Putting an exclamation point on the dramatic global progress to reduce tobacco use, Russia in early 2013 enacted comprehensive tobacco control legislation. President Vladimir Putin signed this historic law, which requires smoke-free public places, prohibits tobacco company sponsorships and point-of-sale cigarette displays, and restricts where tobacco can be sold, among other provisions. Then in October, Russia amended other laws to ban tobacco advertising and increase fines for violating tobacco control laws, making Russia a county with some of the strongest tobacco control laws in the world. Both laws are already being implemented. Russian Ministry of Health officials and tobacco control advocates worked tirelessly to secure these important policy achievements in the face of strong opposition from policymakers supportive of tobacco industry interests. Throughout the battle, the Campaign for Tobacco Free Kids provided technical support to Russian public health advocates and shared international best practices for provisions in the laws. The policy achievements in Russian demonstrate that the global battle against tobacco use is gaining ground even in countries where smoking has become ingrained in the culture. Tobacco sponsorships of events such as concerts and sporting events are banned in the United States and many other countries because they are effective ways to market to kids. But some countries, including Indonesia, still allow such sponsorships, and tobacco companies take full advantage to associate their cigarette brands with concerts and musicians popular with youth. And many popular international musicians continue to perform at these concerts, in essence helping tobacco companies market their deadly products to kids. To combat this harmful practice, the Campaign for Tobacco-Free Kids launched a new campaign and website – called Tune Out Tobacco – urging musicians and concert promoters to reject tobacco industry sponsorships. At least one major music festival in Indonesia dropped a tobacco sponsor this year. We’re working to encourage others to follow this example and to get Indonesia and other countries to ban such sponsorships entirely. Ninety percent of all adult smokers begin the deadly addiction as teenagers. As a result, youth are powerful and effective voices in the fight against tobacco. They encourage their peers to stay tobacco-free, expose the harmful marketing practices of the tobacco industry and urge elected leaders to protect America’s kids from tobacco. Through initiatives like Kick Butts Day, our Youth Advocates of the Year Awards and our annual Youth Advocacy Symposium, the Campaign for Tobacco-Free Kids fosters a new generation of young leaders who will continue the fight against tobacco until the job is done. 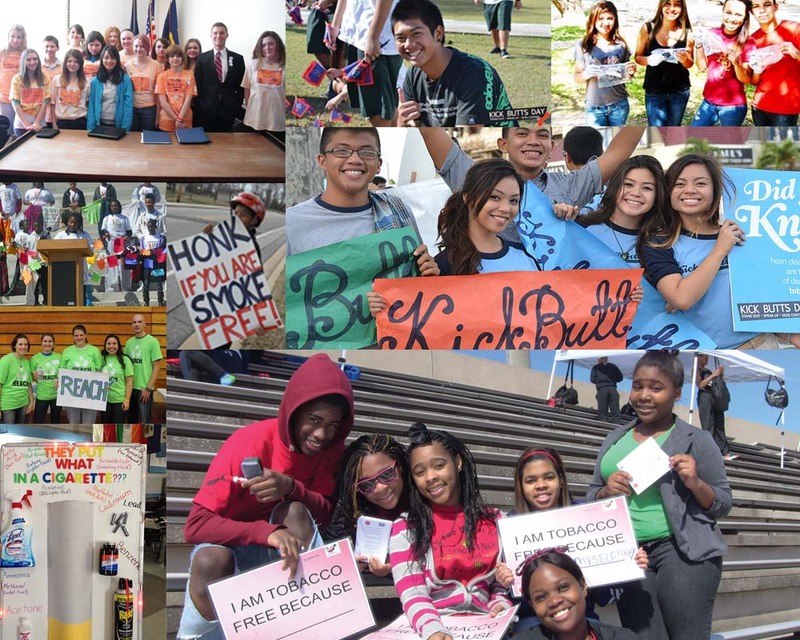 On March 20, 2013, thousands of youth across America took a stand against tobacco as part of the 18th annual Kick Butts Day. More than 1,300 events were held throughout the United States and on military bases around the world, making it the largest Kick Butts Day yet. This year’s activities focused attention on how tobacco companies continue to target kids. Youth tracked the tobacco marketing they encounter in their daily lives through an Instagram project called #tobaccotargetsme, and a Kick Butts Day infographic depicting "America's Most Wanted Tobacco Villains." Each year, the Campaign for Tobacco-Free Kids honors outstanding young leaders who exemplify the courage and commitment it takes to win the fight against tobacco. We are proud to recognize the important work they do each day at the local, state, national and international levels. 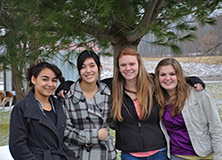 The 2012 Youth Advocates of the Year brought an abundance of energy, passion and creativity to our cause. Like youth advocates before them, they inspire those of us who work alongside them and make tangible strides in the fight to end the tobacco epidemic. I am able to empower others with my story and give them hope. 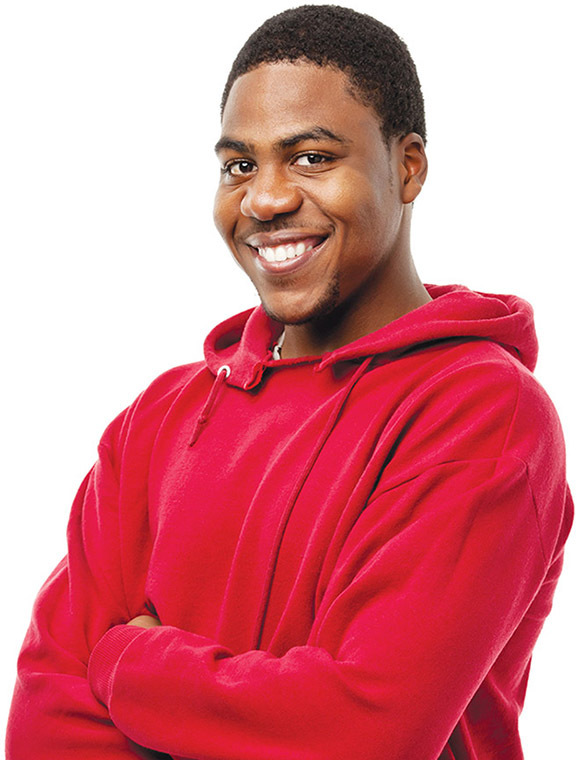 Fitting in isn’t easy when you are so good at standing out, but with tobacco prevention, I am able to do both. Gabe’s passion for tobacco-control advocacy began when he saw the harm that tobacco caused to his older sister, who started smoking at a young age. His interest deepened when he attended a gay pride event and was shocked to be told that he "couldn’t be gay" because he didn’t smoke. 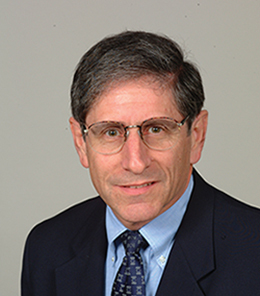 He soon learned how the tobacco industry targets lesbian, gay, bisexual and transgender communities. Gabe then created Out of the Smoke, a program at the Utah Pride Center dedicated to helping people quit and encouraging a healthy lifestyle. Gabe also served as president of the Youth Leadership Board of Utah’s statewide youth tobacco-control program, One Good Reason. Gabe worked with One Good Reason to survey 1,800 Utah teens about new, dissolvable tobacco products. The group's initiative, "It’s All about the Packaging" was featured on national television and results were provided to the state of Colorado, where dissolvable products were being test-marketed. Gabe also testified about tobacco issues before the Utah Legislature. 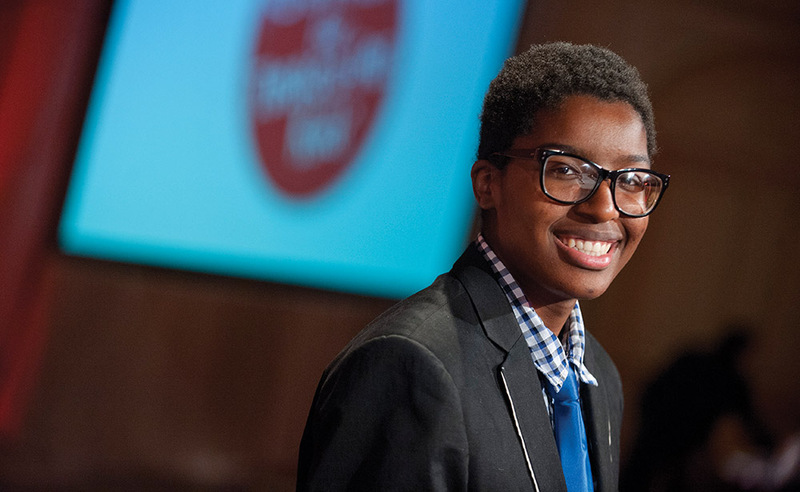 Since receiving the award, Gabe has served as youth representative on the Campaign for Tobacco-Free Kids' Board of Directors, worked with fellow youth advocates to protest at the Philip Morris International annual meeting, networked at the National Conference on Tobacco or Health, and shared ideas at our Youth Symposium. Gabe also served on the steering committee of the Network for LGBT Health Equity and received the LGBT Youth Advocate of the Year award. 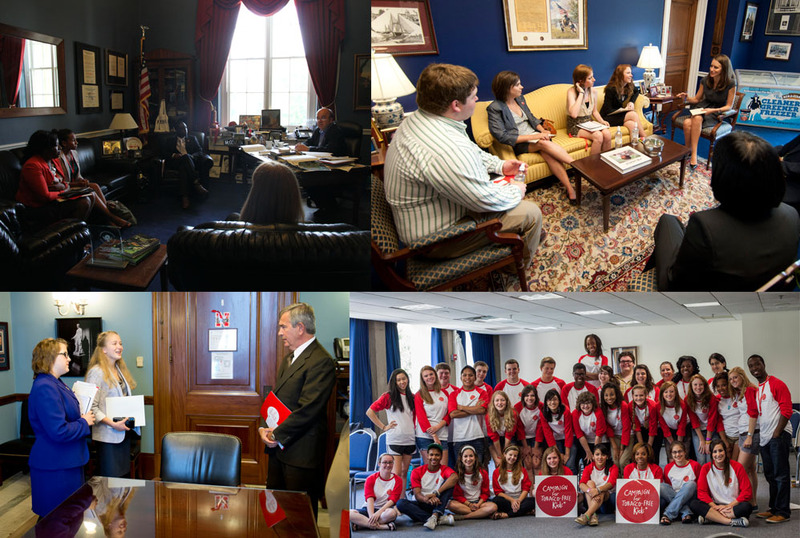 During the summer of 2012, youth leaders from around the country gathered in Washington, DC for the Campaign for Tobacco-Free Kids’ Youth Advocacy Symposium sponsored by the United Health Foundation. The symposium is an opportunity to motivate and empower some of the brightest and most passionate youth advocates to fight tobacco in their states and communities. Participants in the week-long symposium shared ideas and participated in leadership, advocacy, communications and other skill-building workshops. These young leaders also met with members of Congress to discuss the tobacco industry’s latest marketing strategies, including the marketing of cheap, sweet cigars that appeal to kids. The Youth Advocacy Symposium is part of the Campaign for Tobacco-Free Kids’ efforts to foster the next generation of leadership in the fight to end the tobacco epidemic. NOTE: FY2013 covers April 1, 2012 to March 31, 2013. A complete copy of our FY13 Audited Financial Statements can be obtained by contacting the Campaign for Tobacco-Free Kids. **Temporarily Restricted assets represent financial commitments that are available to be spent over future years.